April is Jazz Appreciation Month! Last year a few music promoters provided me with promo copies of current releases that I could listen to and tell you about. Not so this year, I’m afraid. 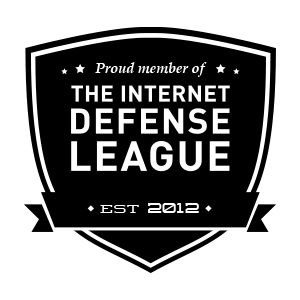 That is a bit ironic, because the number of pageviews this blog serves every month is up considerably from this time last year. In the late 1990’s, as part of the band People Playing Music, he toured Canada, the U.S. and Europe. In 1998 he formed his first band, called Crash. That same year, Crash released an eponymous CD and played the world-famous Montreal Jazz Festival. Time went by, Weeds appeared on several albums, and then in 2008, Weeds released the first album under his own name. That disk, I’m sure you’ve guessed, just happens to be the one I want to tell you about this week, “Big Weeds”. “Big Weeds” presents us with eight tunes, six of which are Weeds’ originals. The album has a decent running time of just under sixty-five minutes, but that time will go by so fast you’ll think it’s much shorter. The album opens with one of the two songs not written by Weeds, a James Moody composition called “Darben The Redd Foxx.” I don’t know the backstory for this song, why Moody wrote it or gave it the intriguing title it has. I do know that in the hands of this group, it’s a knockout piece of jazz! LeDonne on the organ gives “Darben” a rocket boost right out of the starting gate, followed quickly by Weeds and the others, and the high-flying, hard-bopping doesn’t let up until the final note, over seven and a half minutes later. After “Darden” the guys give us the first of Weed’s compositions on this album, “Corrupted Mango.” Drummer Farnsworth opens it and before long is joined by Weeds. Less than a minute later Bernstein steps forward with his guitar and gives us a delightful bit of fretwork. Then Weeds takes over again, while LeDonne and the others provide an excellent backdrop for him. When Weeds steps back, LeDonne takes the lead and runs that keyboard fast and furious. In the end, “Corrupted Mango” has a delightfully upbeat, happy quality that the live audience loved. I believe you will too. Up next is “For Fathead,” obviously referring to the late, great David “Fathead” Newman, with whom he has appeared on stage. This is a charming song that gives each member of the quartet his moment to shine. Weed obviously put his heart into writing this song, and the guys do it up right. “Blossoms In May” is up next. This is a quiet song, a bit more melancholy than the title might lead you to believe. Everyone gets a solo, and the audience is not bashful about showing their appreciation. “Blossoms” is a fine change of pace from the previous tunes. The Harold Arlen classic, “It’s Only A Paper Moon” is up next. This sprightly number never fails to lift my spirits when I’m low, and this arrangement bops quite nicely. “Simply Said” opens with Weeds blowing hard. He is soon joined by Bernstein, who quickly takes the lead and runs with it. Drummer Farnsworth gets a chance to show his stuff in this one, jamming that ride cymbal for all it’s worth. When LeDonne gets his turn, he doesn’t waste it. The man is a keyboard marvel. “Simply Said” may be the title, but at the end of the day this is one complicated song that will delight you. The next-to-last song is called “No Bull”. This is an interesting song that puts me in mind of a lot of jazz from the 1950’s. I’m not sure why, but the song is great and the guys execute it superbly. Weeds’ mellow sax presents the listener with as fine an example of melodic bop as you’re likely to hear these days. As seems to be the case more often than not any more, I was not able to find any videos from this album online. But here is Cory playing with Jim Rotondi and others. 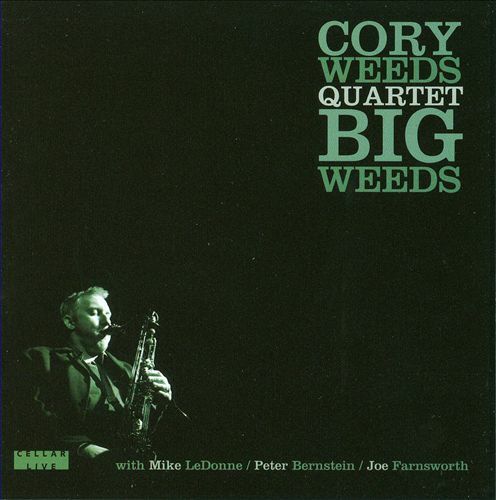 I am absolutely certain that you will find “Big Weeds” from the Cory Weeds Quartet to be a fantastic addition to your personal playlist, for a Saturday or any other night! For another take on “Big Weeds,” check out Raul D’Gama Rose’s reviewon the allaboutjazz.com web site. To learn more about Cory Weeds and his music, you can visit his web site or the site of Cellar Jazz, his Vancouver, B.C. jazz club.